1) Many people attributed the Dravida Munnettra Kazhagam's win in the 2006 assembly elections to its lucrative promise of free TV sets for every household. After coming to power, the party spent Rs 4,000 crore from the public exchequer to distribute the TV sets. They also introduced an innovative medi-claim card to provide insurance for poor families. In spite of these and other pro-poor schemes, the DMK not only lost the assembly elections this year, but lost very badly. DMK's arch rival All India Dravida Munnettra Kazhagam chief J Jayalalithaa took off some of the shine of their freebie freefall by announcing several schemes of her own. Now that the AIADMK has come to power, the people of Tamil Nadu will get free grinders, mixers and fans. Families living below the poverty line well get free rice and mineral water. They have even been promised free gold when their daughters get married. 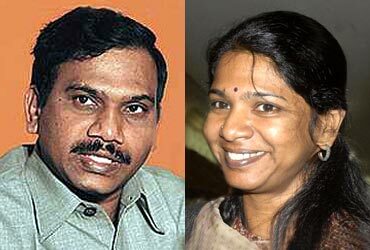 2) The 2G scam, implicating DMK leaders A Raja and Kanimozhi, peaked at the right time, as the state went into election mode. There were allegations that a huge amount was paid by a grandson in the family to his grandmother for a Cabinet post. The Neera Radia tapes had already caused considerable damage to the DMK's first family. The tapes also exposed the hectic lobbying that had taken place to make Raja the telecom minister. Those who had lobbied for him were now in the dock in a scam which was worth a whopping Rs 176 lakh crore. Though the 2G scam made waves in urban India, DMK leaders naively thought that it would not have much impact in rural areas. They were wrong. Rural Tamil Nadu may not have been aware of the intricacies of the 2G scam but they were definitely aware of its magnitude. The people in rural pockets felt that the ruling party had taken them for a ride while its leaders made enormous amounts of money for themselves. They were not sure how the money had been made but they knew a lot of it had been siphoned off. At the grass root level, DMK functionaries did not defend the 2G accused. They chose to laugh at the accusations. One DMK councillor in Nagaipattinam was telling the people, "They are accusing us of selling air waves. How can you sell air?" He thought he was being funny. But the people saw no humour in these utterances; instead they sensed brazen corruption. And they decided to teach the DMK a lesson. DMK supremo Karunanidhi's daughter Kanimozhi being named a co-conspirator along with Raja, who is already behind bars, did not help the DMK's cause either. 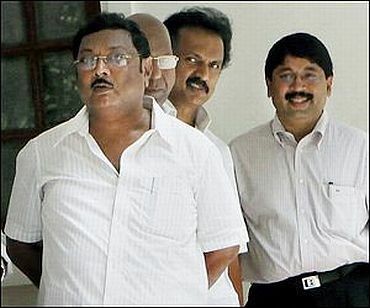 The money trail in the 2G scam led straight to Kalaignar TV where the first family owns 80 per cent of the shares. Then chief minister Karunandhi's wife Dayalu Ammal owned 60 per cent of the shares and daughter Kanimozhi owned 20 per cent. 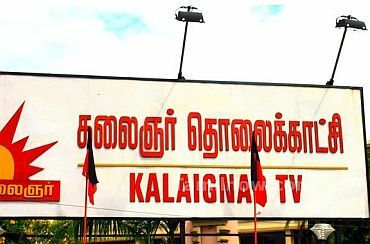 People did not need further proof of the DMK's corrupt dealings, though Kalaignar TV has claimed that the Rs 214 crore it received from DB Realty was a loan which the network has since returned. 3) Inflation was another major cause behind the DMK's electoral reverses. 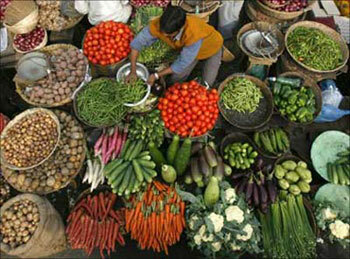 Instead of taking steps to control prices, the state government tried to dodge the blame by pointing out that prices were going up all over the country. Such logic would not have mattered to the voters of Tamil Nadu who were unable to purchase even basic food items due to soaring prices. 4) Fluctuating bus fares were another reason for the DMK's loss. For the same distance travelled in a bus, the commuter sometimes paid double and even triple the regular fare. The state road transport corporation classified certain buses as 'limited stop services' and tagged it with other nomenclatures. This meant hiked fares but not additional comforts. 5) Frequent cases of firing by the Lankan Navy on Indian fishermen also dented the DMK's popularity in coastal Tamil Nadu. These fishermen would either be attacked or their catch seized by the Lankan Navy. 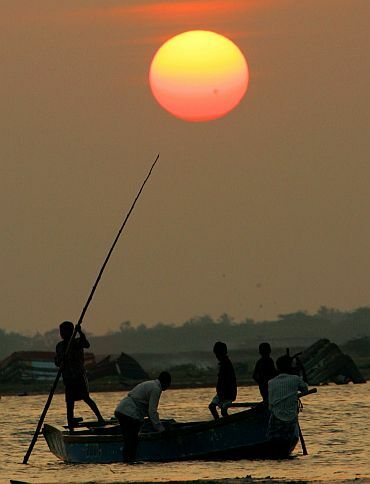 Though fishermen did stray into Lankan waters for a better catch, they felt that the DMK did not do enough to protect them from the neighbouring nation's navy. 6) Another factor against the DMK government was the skyrocketing price of river sand that is used for construction. As a result, there was rampant sand smuggling and the people blamed the ruling party for it. 7) Liberation Tigers of Tamil Eelam chief Prabhakaran was killed by the Lankan Army barely days after the Lok Sabha polls in 2009. Some political experts in Tamil Nadu felt that the rebel leader's killing was planned to take place after the polls. Many believe that the DMK government did not do its best to protect innocent Lankan Tamils who were trapped between the army and the LTTE in the last stages of the civil war. They feel that had the DMK been more proactive, a lot of innocent lives could have been saved. As one disgusted voter put it, "Writing letters to the prime minister does not help in such situations." 8) Another important reason for the DMK's loss was the lack of unity within the ruling family. Karunanaidhi's son and Union minister M K Azhagiri was openly challenging his younger brother and father's heir apparent Stalin. Though nobody in the party admitted that the two brothers were pulling in opposite directions, the infighting didn't exactly boost the cadre's morale before the elections. 9) During seat-sharing talks, ally Congress bullied the DMK into parting with 15 more seats. Before the 2006 assembly polls, the Congress had been given 48 seats but this time they got 63 seats. This did not go down well with DMK cadres who always thought of the Congress as a junior party in the alliance. DMK members did not bother to work hard in the constituencies the Congress contested from. And irrespective of their tall claims, the Congress simply doesn't have enough workers of its own in every village in Tamil Nadu. In Bihar, the Congress had contested the recently held assembly polls on its own and won four seats. In Tamil Nadu, in spite of the combined strength of all its allies, the party managed to win only five seats. In a quid pro quo, Congress members didn't work hard or campaign much in seats that the DMK contested because of the bitter seat-sharing exercise. 10) In the Lok Sabha elections in 2009, the Vijayakanth led Desiya Murpokku Dravida Kazhagam had secured 10 per cent of the votes across Tamil Nadu. If this was added to the votes won by the AIADMK, the coalition would have easily won. Keeping this in mind, Jayalalithaaa ensured an alliance with the DMDK this time, in spite of initial hiccups in the seat-sharing talks. She even agreed to give them 41 seats. The AIADMK chief's strategic move paid off. The DMDK won 29 seats and the AIADMK won 150 seats (inclusive of the two seats won by Sharat Kumar's Akila India Samathuva Makkal Katchi). The DMDK managed to win more seats than the ruling DMK and pushed the party to the third place. Worse for the DMK, Vijayakanth will be the new leader of the opposition in the assembly. The DMK had recruited popular Tamil comedian Vadivelu to counter Vijayakanth, who toured the entire state and attracted huge crowds wherever he went. He had a one-point agenda: attacking Vijayakanth. He called Vijayakanth a drunkard and declared that he was unfit to be a 'captain'. 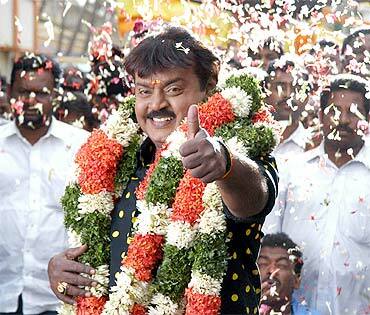 Vijayakanth is fondly known as captain among his supporters after he essayed the role of Captain Prabhakaran in a film. Vadivelu's tirade against Vijayakanth has obviously backfired and next time, we are sure Vadivelu will only stick to acting. 11) Another reason behind the DMK's debacle were the persistent power cuts. Though Tamil Nadu has always grappled with power shortage, the frequency of power cuts went through the roof right before the elections. 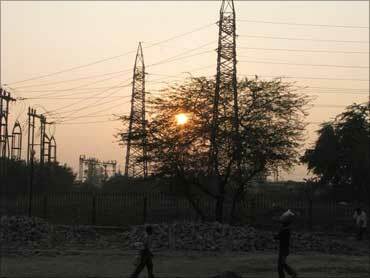 Along with pre-scheduled power cuts for three hours, unscheduled power cuts lasting between 30 minutes and an hour became the norm. Instead of taking steps to counter the power crisis, the DMK government blamed the previous AIADMK government's regime for the electricity shortage. People laughed at this excuse. Incidentally, in spite of the party doing very badly in the state elections, DMK chief M Karunanidhi performed extremely well and won his seat with a whopping margin of over 50,000 votes. But the same cannot be said about his son and former deputy chief minister MK Stalin, who managed to hold onto his seat by a little over 2,000 votes. Stalin can hardly call this a victory. 12) Films play a major role in Tamil Nadu politics. People soon realised that the state's first family was controlling Kollywood as well. 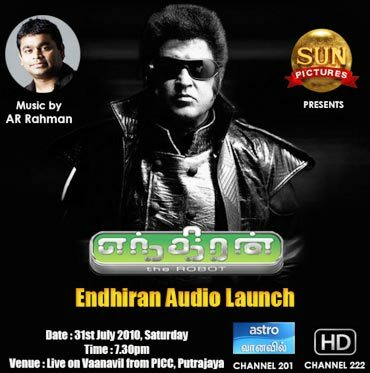 The family-owned Sun Pictures was releasing films regularly while three of Karunanidhi's grandsons produced movies as well. The people felt that others were not being given a chance in the film industry. Many actors openly complained that they were being forced to attend political functions against their will. This did not go down well with the people of Tamil Nadu, who love their stars with a passion that the rest of the country will not understand. 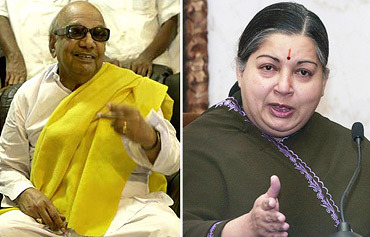 The DMK has a tough three years ahead of it, before heading into the next Lok Sabha elections in 2014. They first have to deal with the 2G trial and then get their act together to present a united front to the people. Stalin will have to use all the skills that his father has taught him over four decades and only then will the sun (the DMK's party symbol) continue to rise.